Saturday 5th April between 10am and 3pm. We will be donning our gloves and bibs to clean up the village on the day. We also plan to overhaul the garden at Evergreen Hall to provide a colourful summer garden for our local Evergreen Club members. If you are interested in digging, weeding, sweeping, scrubbing or picking up litter on behalf of your community please ear mark this day in your diary and donate a few hours between 10am and 3pm for this great community event. We would appreciate any time you can provide on the day. Meeting Point: Car Park on Terenure Road North at 10am. Bring along your gloves and your enthusiasm. Let's Walk and Talk is a community initiative by Dublin City Council comprising weekly walks in various parts of the city, themed historical walking tours and other special events. All tours are led by acclaimed historian, Pat Liddy who makes history come alive as you explore hidden parts of the city. Saturday, 29th March at 12 noon. The Dodder has played a pivotal role in the origin of various villages in South Dublin. This walk will take in Terenure Village before meandering through Bushy Park and exploring, among other things, the role of the Dodder River in the area's history. The tour will last about 90 minutes and is FREE - no advance booking necessary. Admission is free, refreshments will be served. Copies of Professor O'Neill's book will be available to purchase on the evening. All residents in our area are welcome to attend. Public representatives and local Gardai have been invited. If you are interested in representing your area and/or your street, please consider joining the committee. Contact Jim Dowling (Chairman) at 01-4905019 or jimdowling@eircom.net. Get your boots on! This year's Dodder clean up takes place on Saturday 12th April. It begins at 10am at Ballsbridge, and moves on to Donnybrook, Milltown, Rathfarnham, Templeogue, Firhouse and Tallaght. The Sisters of St Peter Claver will be holding a sale of work at St Joseph's Parish Hall, Terenure on Sunday 30th March from 10.30am to 3pm. If you were not already aware, Terenure Library publish a monthly email newsletter which also appears on our website here www.terenureresidentsassociation.ie/lib_noticeboard.html. If you would like to receive the email version, contact the library at terenurelibrary@dublincity.ie. In April there is a display of "Nordic crime" books by scandinavian writers, the IMPAC award long list of books, and a Hans Christian Anderson display in the junior library. A new book showing old photographs of Terenure has recently been published in the "Ireland in Old Photographs" series. 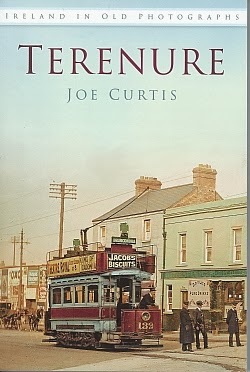 Written by Joe Curtis, it is a paperback of 128 pages, price €16.99. Now available from local bookshops, including the Village Bookshop on Terenure Road North. The closing date for the on-line photographic competition is fast approaching. Go on! Get your cameras out, snap away and upload! The closing date is 31st March 2014.
on Thursday 27th March 2014. 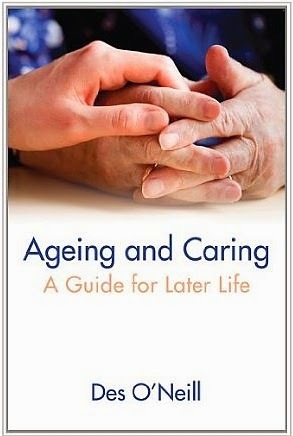 Professor O'Neill's book will be available to purchase.